You won't find a better hotel in Watford City North Dakota than the Teddy's Residential and Little Missouri Inn & Suites Watford City. We are a lovely group of hotels in Watford City that offers so much to our guests. We have beautifully renovated accommodations with many great amenities, delicious on-site dining options, and we're also located near Long X Trading Post and Theodore Roosevelt National Park. Unwind in Teddy's Lounge featuring nightly dinner specials, cocktails, appetizers and a full dinner menu. Guests will love our luxurious accommodations. 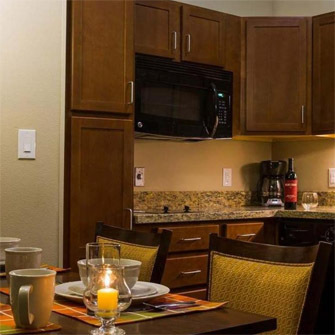 We offer many different room choices to help meet your travel needs. Our rooms come with king beds or two double beds and are filled with some truly excellent amenities. Some of these include flat screen TV's, microwaves, mini refrigerators, a work desk area, in-room coffee station, in-room safe, and beautiful furnishings. We can be your home away from home. With our fantastic combination of comfort and convenience you'll be happy you're spending your vacation in Watford City with us.